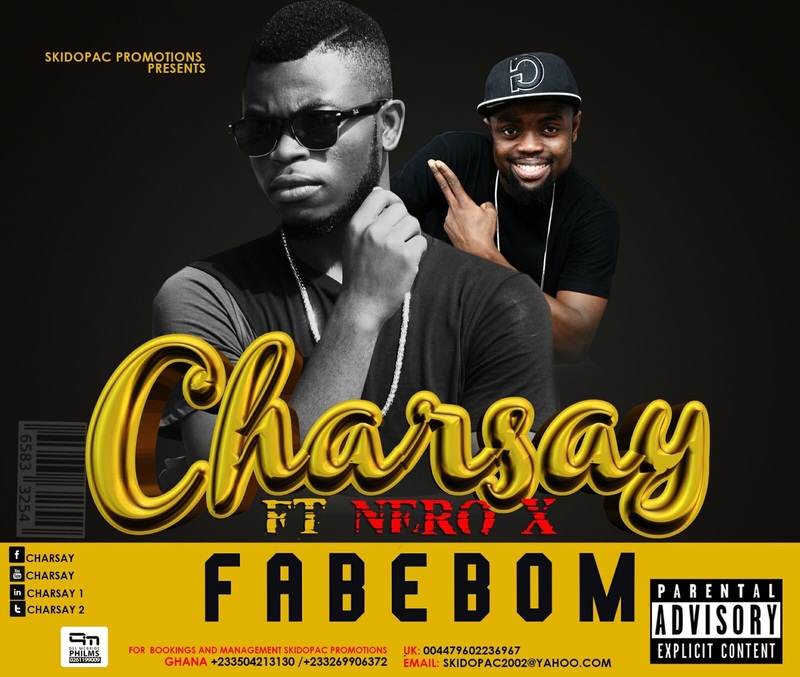 Charsay, one of the new finest rappers is here again with a new song titled “Fabebom“ featuring Nero X that is going to blow your mind especially the ladies. Charsay who has been in the limelight for a short while is really taking things very serious and releasing more hit songs after hit songs. He is still riding high on his Aseda (Thanksgiving) song which once again features Nero X.It’s all about good music and “Fabebom“ featuring Nero X will be keeping us dancing till Christmas and beyond.